It started out as notes for a designer, turned into a page with 100K hits, and now (drumroll..)… “Sustainable Lens: A visual guide”. Sustainable Lens traces the development of sustainability through its representation in diagrams. Sustainable Lens presents a model for seeing the world through a sustainability-driven perspective. 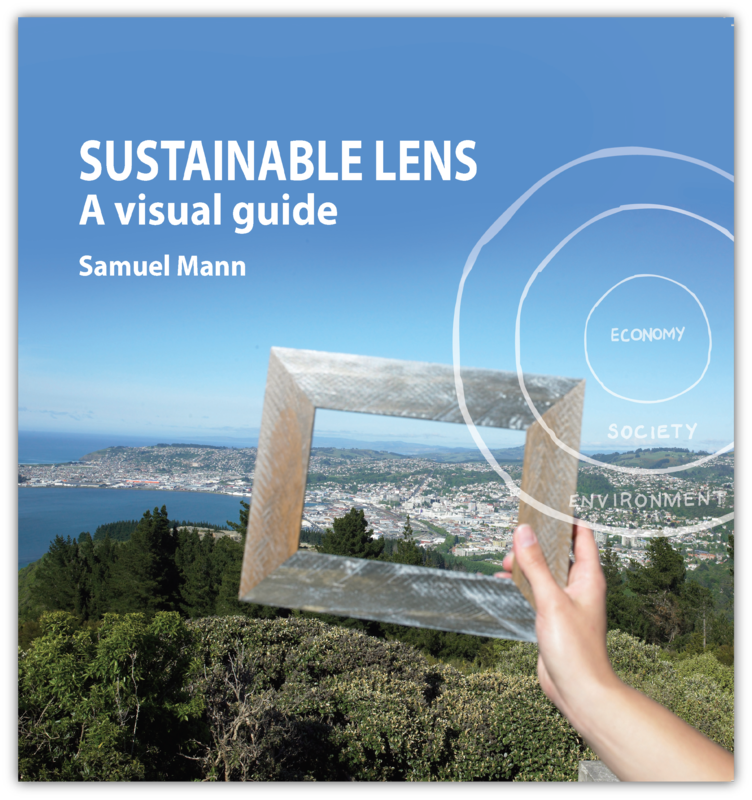 Sustainable Lens is laid out in such a way that it can be read from cover-to-cover or opened at a particular page or diagram that draws your interest. The diagrams are featured on the right-hand side so as to celebrate their elegance. Sustainable Lens will act as a sourcebook for those involved in communicating sustainability (including designers, teachers, scientists, policy makers) and others who seek insights about the concept and practice of sustainability. Published late 2011 and available via NewSplash Studio. (Get it now from Amazon). This is an incredibly inspiring and useful project. Is out available yet?? Yes, I saw the new blog added to the list of OP staff blogs. I’m doing nothing so spectacular – just trying to put out a tip of the week for students from the Learning Centre, but you wouldn’t believe the resistance (angst?) that is generating from certain staff. Oxfam researcher came out with another elegant approach. Please, check http://ingienous.com/?page_id=7649 or Oxfam page and look for Kate Raworth researcher’s work. Great book and great blog, by the way.